If you've been reading my recent posts you'll note that I'm going against my natural grain over the summer holidays and attempting to bake more 'classic' family treats. Think; less frosting, more golden syrup. This week I've been making Flapjacks. Now, I've never been a huge flapjack lover (they always look a bit healthy to me...) but as a teenager I lived in a town called Banbury and there was a bakery called 'The Banbury Oven' which made the BEST chocolate chip flapjacks I've ever eaten. Hands down. This bakery was the staple of my college years and and we practically lived off their french bread pizzas and generous slabs of carrot cake - man, I'm salivating now! But alas, they closed many years back and in homage to their excellent flapjacks I've never really tried to make them before. 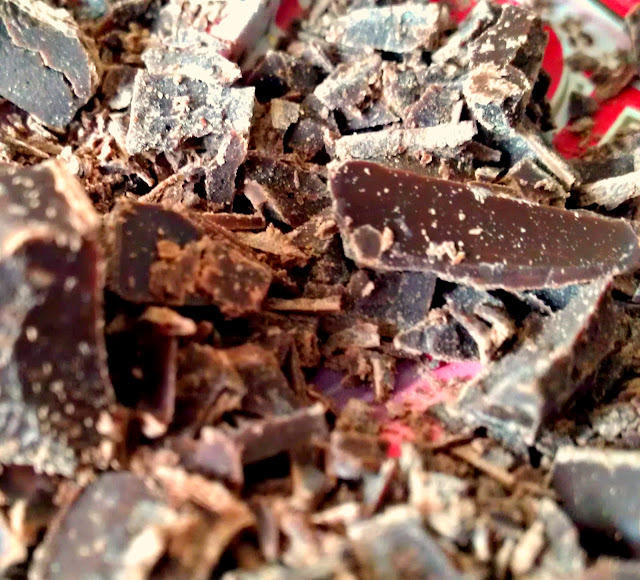 But then I discovered some oats in my baking cupboard that needed using up this week, and I had some pieces of dark chocolate leftover from some ganache. So, feeling a little braver than normal I went in search of a recipe and quickly settled on a classic recipe from the back of my golden syrup bottle. It's so simple, 4 ingredients and it practically makes itself. The recipe calls for heating the butter and sugar in a pan on the hob but I opted for the microwave method which worked just as well for me. 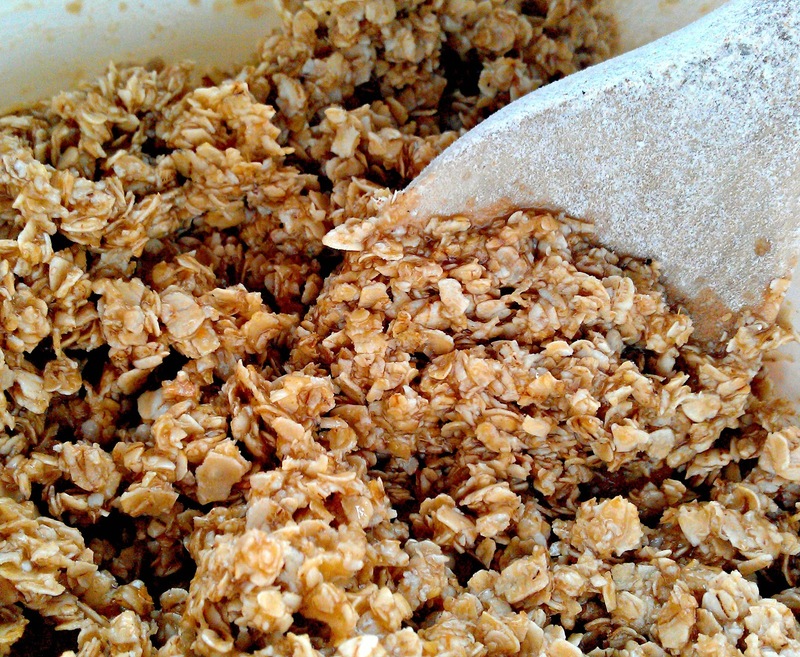 This is a great recipe to make with the kids, the butter mixture does get very hot so I'd get them involved after adding the oats. And in true traybake fashion you can pretty much add anything to the mixture before you bake it so this recipe will definitely be called into action when I have remnants of yummy things in my cupboards! The finished product! 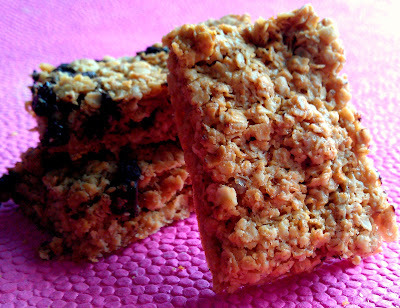 Oaty flapjacks and chocolate chip flapjacks - best eaten on the day after they're made. 1. Preheat the oven to 180C/160Cfan/ gas 4. 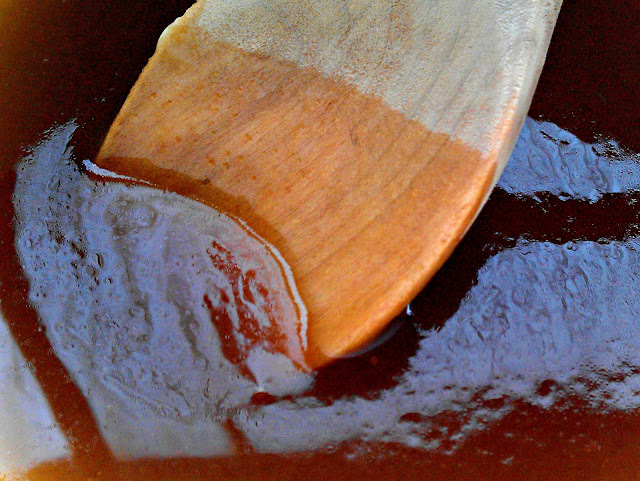 Grease and line a shallow 20cm square tin with baking parchment. 2. Put the butter, sugar and Lyle's Golden Syrup into a medium pan and gently heat until melted (I microwaved this part) Stir in the oats. Turn into the tin, level and press the mixture evenly and firmly with the back of a spoon. Bake for 25 minutes, or until just golden around the edges. 3. Remove from the oven and cool for 10 minutes then mark into 12 or 16 pieces whilst still warm. Cool completely before turning out onto a board and cutting again with a sharp knife. Thanks for your comment! Hmm, I'm not an expert when it comes to flapjacks but I think cooking them at a low temperature might help with the dryness as they can be quite prone to overbaking. They don't require a lot of baking and the soft brown sugar helps to keep them nice and gooey!